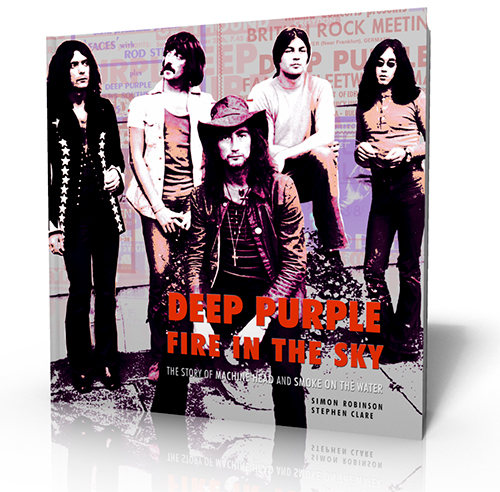 Fire In The Sky, the definitive Machine Head biography, will follow the same format set by the Deep Purple In Rock biography Wait For The Ricochet. The plan is to publish the book in 2017 to mark the 45th anniversary of the album’s original release. You can subscribe to a dedicated newsletter about the title, which will bring you the latest news first, along with previews and offers. And there are page visuals and more information on the publisher’s website. If you have any rare pictures from the time or memorabilia, do get in touch. Join the mailing list using the button below to keep up to date on this forthcoming title, due Spring 2017. A news update is also on the publisher’s site.